CRIMINAL DEFENSE LAWYERS WHO ARE DEDICATED TO HELPING THOSE WITH JUVENILE CONVICTIONS GET A SECOND CHANCE AT LIVING LIFE WITHOUT A CRIMINAL RECORD. It is one of the most common expressions: “everyone makes mistakes.” What a tragedy when a person has a lapse in judgment or an error in good sense one time earlier in life and their lives are forever shaped by that moment in time. At LEWIS & DICKSTEIN, P.L.L.C., our Michigan juvenile expungement attorneys cannot stand by idly and watch our client’s lives be ruined by some isolated event that occurred when they were under the age of seventeen. The Michigan family court’s jurisdiction generally includes youths under the age of seventeen who violate any municipal ordinance or Michigan law (felony or misdemeanor). Adjudications within family courts are not criminal convictions, as family court proceedings are civil and not criminal. Because of the criminal nature of a juvenile adjudication, it will likely have serious collateral consequences to a person’s life (inability to obtain or loss of employment, enter the military, obtain public benefits, and potentially the inability to gain custody of children, etc…). Michigan law provides for the opportunity to set aside a juvenile adjudication if all of the requirements of the juvenile expungement statute are met. Even when all the requirements are met, the judge who hears the motion must be thoroughly convinced that the petitioner has been rehabilitated and that setting the juvenile adjudication aside is in societies’ best interest. Convincing a judge that a petitioner meets this very high standard is a daunting challenge. The expert criminal defense attorneys with LEWIS & DICKSTEIN, P.L.L.C. have taken years to craft and perfect a system that is highly persuasive and effective. Over two decades, we have successfully helped countless clients go forward with clean criminal histories because we maximize their chances of having a much-deserved second chance. • Do you have a federal conviction? • Do you have a criminal conviction in another state? 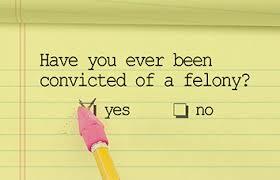 • Do you have a felony adult criminal conviction in Michigan, excluding those for which judgment of guilt was deferred? • Were you adjudicated of an offense that if committed by an adult would be a felony for which the maximum punishment is life imprisonment? • Were you adjudicated of a specified juvenile violation as defined in MCL 712A.2d(9)? • Is the adjudication you want to have set aside a felony or misdemeanor traffic offense? A traffic offense is an adjudication for violating the Michigan Vehicle Code or a local ordinance substantially corresponding to that act, which violation involves the operation of a vehicle. • Are you less than 24 years of age? • Has it been less than five years since the date of the disposition of your adjudication, or if you were detained, has it been less than five years since you were released? If you can answer “no” to the above questions, you may be eligible to have your adjudication set aside. The answers to the above questions may be confusing or you may not know the answer. We can help you determine what can be done to expunge a juvenile felony or juvenile misdemeanor offense. The Attorney General of the State of Michigan will review your application along with your criminal history report when an application is filed. An Assistant Attorney General will determine whether the State of Michigan will oppose the application. The county prosecuting official will also review your application and criminal history record and will likewise have an opportunity to object. When the government oppose a motion to set aside out client’s juvenile conviction, LEWIS & DICKSTEIN, P.L.L.C. will do whatever is necessary to overcome any factual or legal objection and obtain the juvenile expungement. Setting aside an adjudication (MCL 712A.18e) removes a Michigan juvenile adjudication from the public record of the Michigan State Police and the court, and is sometimes referred to as an expungement. A Michigan juvenile adjudication that has been made nonpublic through a court order setting aside that adjudication is still available to a court, a law enforcement agency, some licensing agencies, and certain other government agencies specified in the law. Also, if you are adjudicated of a crime after an adjudication is made nonpublic, the nonpublic record of the adjudication can be used to increase your criminal sentence for your crime. 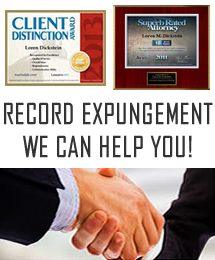 Hiring a top expungement lawyer may be the best investment that you ever make. The benefits include, but are in no way limited to: indicating that you have no convictions on a job application, eligibility for student loans, eligibility for housing assistance, eligibility for professional licenses and certificates, and no fear when someone does a public background check on you. A juvenile expungement eliminates all public records of the felony adjudication or misdemeanor adjudication that is set aside. Don’t let a criminal conviction be a black cloud hanging over your life. By expunging a felony or misdemeanor offense on your record, you will have the opportunity to have a fresh start and a whole new set of opportunities that were not previously available to you. Hiring a criminal defense attorney is an unfortunate but necessary expense to give yourself the best chance at winning. The juvenile defense attorneys at LEWIS & DICKSTEIN, P.L.L.C. have represented clients throughout Oakland County, Macomb County, Wayne County, Livingston County, Washtenaw County and other counties throughout Michigan. 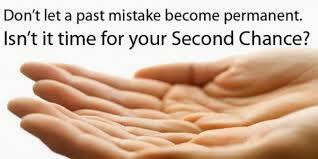 Don’t let your mistakes as a juvenile affect your future as an adult. 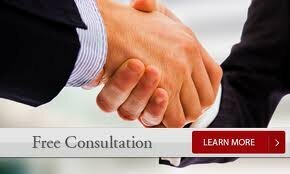 Our highly experienced attorneys can assist you through the process of having your juvenile adjudication set aside. If you are interested in getting a juvenile adjudication off your record, we are in a great position to help you. Every case is different and you deserve to speak to a Michigan Criminal Attorney who will take the time to give you a free consultation and determine if you are eligible for relief and determine what the best options are available to you. Please call to speak to a member of our team of Michigan juvenile expungement attorneys at (248) 263-6800 or complete a Request for Assistance Form and we will promptly contact you.